There are several places around the beautiful city of Kolkata which make for perfect weekend getaways for every traveller and tourist. Some are filled with natural marvels and some are home to historic buildings. But Baripada is one such weekend getaway from Kolkata, located in the state of Odisha, that is filled with several natural marvels as well as historical monuments. From temples to palaces and waterfalls to national parks, you can find everything at Baripada. Hence, it can also be called the perfect blend of nature and history. So, how about planning a trip from Kolkata to Baripada this season? As the region in and around Baripada experiences a moderate type of climate, it can be visited throughout the year. However, if you do not desire to encounter its summer season, then the best time to visit is from October until the end of April. By Air: The nearest airport to Baripada is at Kolkata only at a distance of about 225 km. By Rail: Baripada is well connected to Kolkata and nearby cities and towns by rail. You can catch a train to Baripada railway station. By Road: Located at a distance of around 225 km from Kolkata, Baripada is easily accessible by road. As route 1 will take 2 hours lesser in comparison to route 2, it is preferable and more comfortable. You can reach your destination within 5 hours through route 1. Once you are on your way to Baripada, you can take a break at Jhargram and explore its surroundings. Jhargram is located at a distance of 173 km from Kolkata and is immensely popular amongst local tourists for Jhargram Palace and Jhargram Deer Park. Due to the presence of natural as well as historical beauty, it is a perfect place to take a break en route to Baripada. You can also visit its ancient temples and several historic buildings. Jhargram is also famous for its tribal dances, annual fairs and carnivals. Eventually, after covering a distance of 225 km, you will step down on the lands of Baripada. It is a small town located in the Mayurbhanj district of Odisha and is popular for its royal palace and natural beauties in the form of waterfalls and a national park. 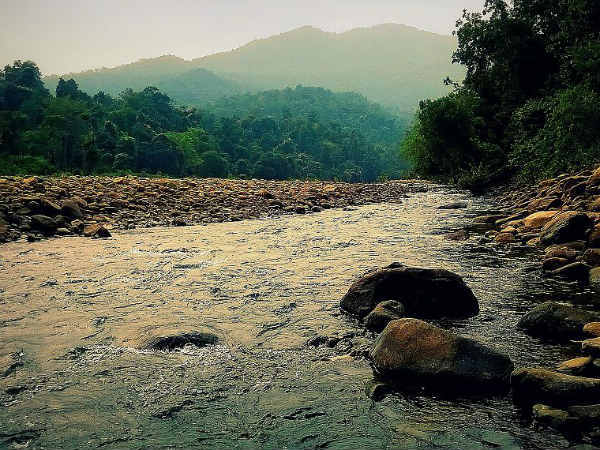 Surrounded by lush green mountains and deep echoing valleys, Baripada is an idyllic destination to spend a weekend with your family, friends and relatives. From temples to several other religious sites, you can find everything which can allure you. The more you are in Baripada, the more you will be curious to know about this historical town. Even though the exact date of its formation is still unknown, it is believed that it has been surviving for centuries since the time of Bhanj dynasty. Following are the major places which you must not miss visiting within the boundaries of Baripada. Simlipal National Park is one of the most popular places in Baripada. Being rich in wildlife, you can find several rare and endangered species of animals and plants here. Apart from exploring its rich corners, you can also visit several beautiful waterfalls which are flowing within the boundaries of Simlipal National Park. Spread over an area of 846 square kilometres, this beautiful national park is certainly a retreat for nature lovers. Mayurbhanj Palace is amongst the most visited and popular places in Baripada. It was a royal house for the kings of Mayurbhanj and was constructed during the 19th century. Over a period, it was renovated several times before taking the shape and the structure of the current building. It is a double-storeyed architectural beauty which is built out of bricks. With more than 125 rooms and grand halls, Mayurbhanj Palace, also known as Rajbari, has the most beautiful architecture in the region. It is one amongst the popular places in Baripada and is one of the most visited temples. Jwala Mukhi Temple is dedicated to Goddess Jwala. The temple is surrounded by beautiful gardens and is also known for its golden dome which is said to be gifted by Akbar, the Mughal emperor. Apart from places mentioned above, there are several other sites in Baripada which will definitely interest you. The list includes Jagannath Temple, Kichakeswari Temple, Debakunda, Kuchei and Devgram. Kuchei is a prehistoric archaeological site through which several artefacts dating back to the Stone Age were excavated. You must visit all these sites if you are in and around the mesmerising town of Baripada.